Curious to know what Christmas tastes like in Croatia? 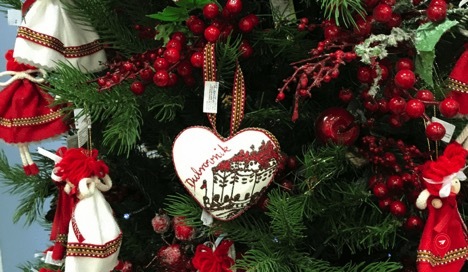 Read on to find out how to make a traditional Croatian Christmas treat. 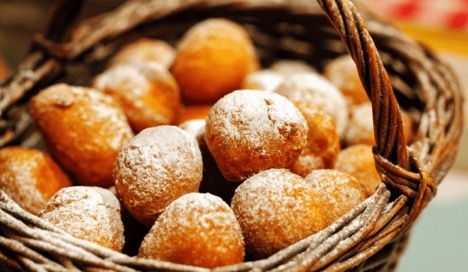 ‘Fritule’ are delicious fried doughnuts that Croats love to serve on special occasions. Separate the eggs and whisk the egg whites. Slowly add the egg yolks, sugar, vanilla sugar, lemon zest, raisins and the yogurt. Add the baking powder to the flour and sift the flower into the egg mixture. Mix everything together (a mixer can be used). It should get the same consistency as doughnut mix. If you want, you can add a drop of rum or sweet liquor for some extra flavor. Cover with a clean cloth and place in a warm space to rise, for about one hour. 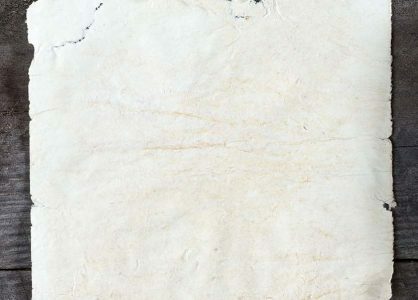 Depending on the size of the pan you are using, add plenty of vegetable oil (up to 1l.) so the fritule have enough space to ‘swim’. Once the oil is hot, slowly drop table spoons of the mixture into the hot oil, one by one. Make sure to dip the spoon in oil each time, or the mixture will stick to the spoon. It takes some practice to create nice and round fritule, just be patient and keep trying. Take them out one by one, once they are golden on all sides. 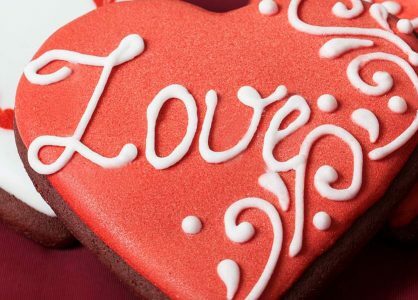 Sprinkle with powdered sugar and …. enjoy! 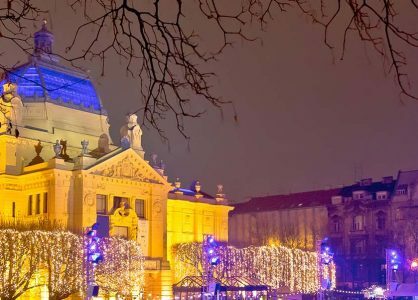 We might be slightly biased when we say that Zagreb is a wonderful advent destination, but we are not the only ones who think so.